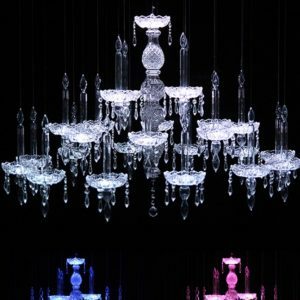 Chandeliers make a striking design statement in a room, and are perfect to create a focal point for any event, from a deluxe gala dinner to luxurious wedding reception. 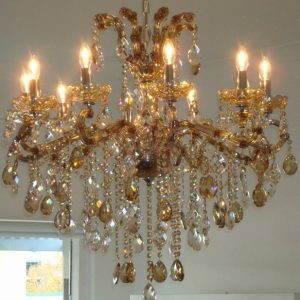 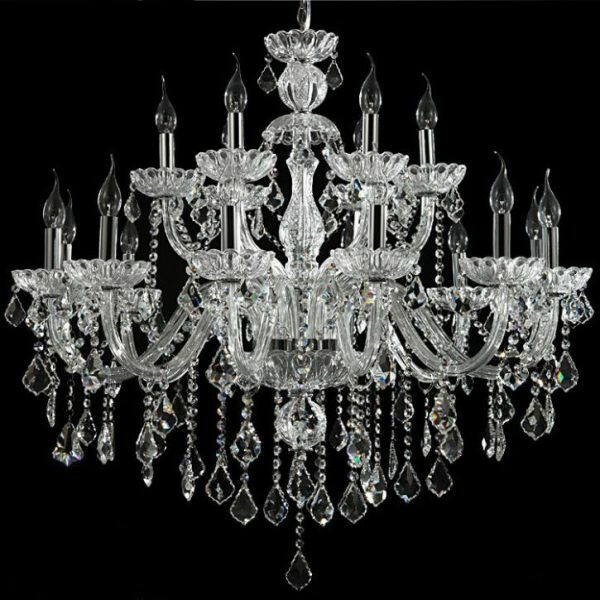 Our 18 Arm Luxury Crystal Chandelier is extra-large and will add a stunning touch to your wedding reception. 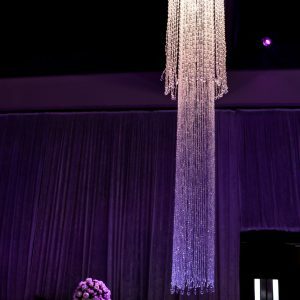 In high ceiling venues such as Crown Perth or Perth Convention and Exhibition Centre, a combination of chandeliers and suspended floral installation will blow your guest’s mind and create the most memorable and luxurious experience ever. 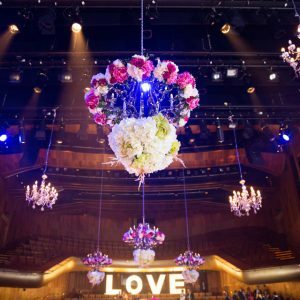 Contact our team for personalised styling & planning services.